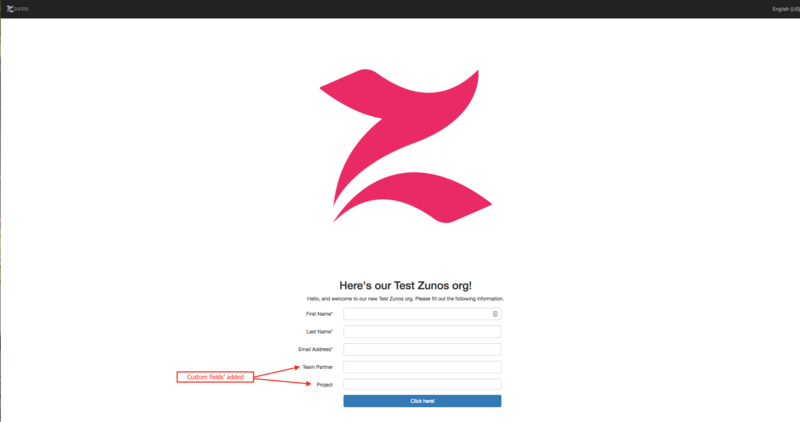 How to create a Public Registration page in Zunos! In the Admin Portal, click Settings and click on the Registration tab. Click the New Registration Portal button. Name: Enter a name for the registration page, this doesn't appear on the page publicly but is for your record in the admin portal only. Heading Text: Enter the heading text, this appears publicly on the top of the page. Introduction Text: Write some introductory text, this can be about your program. Register Button: It's optional to add text on the registration button. Success Message: Add a success message with instructions on the next steps. Set Users Active: If enabled, new registrants gain immediate access to the account, or you may disable the setting to allow you to verify new users manually before making them active. Make the page Active and click Save to add the registration page. Once you save, the option to add a logo to your page appears. Here you can upload your logo if it doesn't already appear from the default logo in your account. Scroll to the top of the page to view the link to your new registration. This is the link you will share with your potential users. Copy and paste the link into a new tab on your browser to view your page. Access to Client Application: You can choose to allow users as active in the account but not give them access to the app. Require Phone: If enabled they must enter a valid contact number in order to successfully sign up. Show Location Fields (City, State, etc): Users can add their City, State and Country location and this will populate in the user profile. Show User Customer Fields: Choose to add additional fields based on user requirement. You will need to create your user Custom Fields prior to adding customer fields on the registration form. Validate Email Domain: Only allow users with your company emails to sign up by adding your company email domain. Separate multiple domains with a comma or leave this field blank to allow any email. Default Group: Add newly registered users to a default group or leave it blank to appear in no group. Send Email: Choose to send a welcome email or success email upon signing up. You will need to create the template first and choose it from the list. Forms: You can give new registrants access to fill out a form before they register as part of the sign-up process. Active: Choose to make the page active. Remember only you will be able to access this page until you share the link with others. Make the page inactive at any time to hide the page and prevent new sign ups. Show Custom Fields: Administrators can choose to select Custom Fields so that they'll appear in the User Registration page. Click Save to add the registration page. Tip: The Registration page can appear in 14 different languages. The default language set in a browser will determine which language the page appears in. Users can change the language it appears in also. Information that's added to this page by an administrator doesn't translate and will need to be added in the local language. If you wish to determine if a user was created from a registration page in your account, simply download the User Registration report under Users/Groups. Click here for more information on the User Registration report.